The Housing Choice Voucher Program (HCV), formerly known as Section 8, is a rental assistance program funded by the U.S. Department of Housing and Urban Development (HUD). The program allows low-income families, elderly and disabled households to find affordable housing in the private market and receive assistance in paying their monthly rent. Qualified participants receive a voucher and may choose from a variety of housing options, including apartments, duplexes, single-family homes and townhomes. The participant is free to choose any housing that meets the requirements of the program and is not limited to units located in subsidized housing projects. Housing choice vouchers are administered locally by public housing authorities. A family issued a housing voucher is responsible for finding a suitable housing unit of the family’s choice where the owner agrees to rent under the program. This unit may include the family’s present residence if rented. 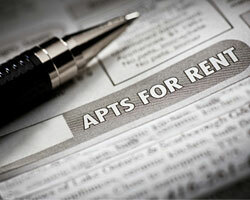 Rental units must meet minimum standards of health and safety, as determined by HASLC. A housing subsidy is paid to the landlord directly by HASLC on behalf of the participating family. The family then pays the difference between the actual rent charged by the landlord under the Housing Assitance Payment (HAP) contract and the amount subsidized by the program.